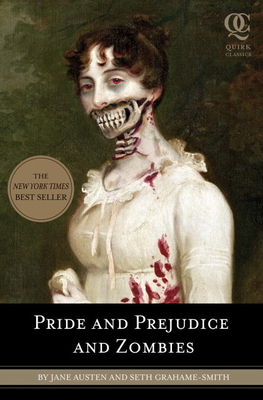 "Pride and Prejudice and Zombies" was published in January 2009, and since then, it's set off a literary monster mash-up craze. The book, which paired original prose from Jane Austen's classic with some new additions which made Austen's characters out to be zombie hunters, was a surprise immediate success, with over a million copies in print. The publishing world didn't take long to pick up on a successful trend, and the dozens of classic monster mash-ups sprung quickly into print. Some of them seem just as delightful as the original, especially the ones that have awesome book trailers, but how much is too much? Should the trend continue, or are you over the craze and ready to see something new? Check out some of the "Zombies" spin-offs below, and let us know which ones you think are worthy and which are just jumping on the bandwagon. (article link above). 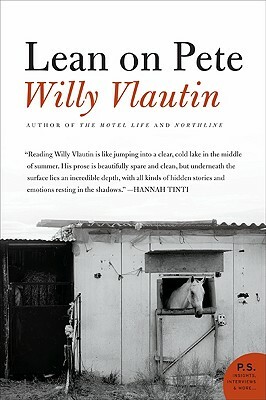 In Willy Vlautin's latest novel, he takes us into the forgotten Northwest: the deserts of Oregon and Washington and into the heart of another run-down life. This time it's 15-year Charley Thompson. His home life isn't much to speak of, and his work life isn't much either. While working at a run-down racetrack on the outskirts of Portland, Charley befriends Pete, a workhorse being run to death. When Charley's life becomes desperate, he makes a last ditch effort to save both himself and Pete. "Anchee is truly an amazing woman and author. There are really only a few authors whose talks who pulled me in so completely that it seems like it's just you and that person in a room - and she is one of them. She started the talk with her story 1971 - she was a small school girl when Mao took over and she remembered the teachers coming to class and making all the children denounce Pearl S. Buck as an enemy of China. She didn't know who Pearl S. Buck was but they told her that Pearl had written The Good Earth which insulted the peasants and that was why. Anchee said she wanted to read the book, but never got the chance until years later at her book signing for Becoming Madame Mao - a woman came up and asked her if she'd known Pearl S. Buck and said that Pearl S. Buck taught her to love Chinese people. Then the woman pulled The Good Earth out of her bag and handed it to Anchee. That book changed Anchee's life and she realized even more so how pervasive Mao's revolution was and how wrong. As she did more research on Pearl - it became clear to her that she had to write this book as fictional biography of Pearl from the Chinese poor perspective. So she created Willow as Pearl's best friend. Anchee said she is Willow. She was a rebellious child and used to work on her Grandmother's farm (which was one hour away from where Pearl had grown up) and her grandmother would tell her "Women are like grass. They are there to be walked upon." Anchee didn't like that. So Grandmother (who had bound feet!) said "Don't complain, wear your broken arm in your sleeve," or "You must eat that meatball which is made of your own tongue." After that Anchee raced back home and joined the Communist Party. She wanted to be equal - a feminist and wasn't getting that from Grandma. So she growing up in Shanghai, but also near the poor farm area of Pearl's life, mixed with her stubbornness and rebelliousness - is Willow. Anchee worked in labor camps and knew that side of life which made her telling of the Chinese view of Pearl's life in China even more believable. All of these strange intersections between Anchee's life and Pearl's life made Anchee feel she was the only one who could write this. And the ending - well - Anchee went to visit Pearl's house in Pennsylvania. She got there too late for a tour. So she asked directions to Pearl's grave. She got them and promptly got lost. But back at the Inn the woman there gave her directions and asked why did she want to see her grave. Anchee said because she had business with it. She woke at 3:30 and waited until first light, found the grave as a flat stone amongst bamboo plants. There in only Chinese characters it said Pearl's name. Anchee said the Willow part of her collapsed and cried and the writer part of her went back and wrote the end to Pearl of China in her room in an hour. She said she felt like she was Pearl's connection back to China after being denied entry by Madame Mao in 1972 when Nixon would have taken her as his translator and journalist. Pearl died in 1973 - never seeing her childhood home or parents' graves. And the business Anchee had - was that she brought soil from Pearl's mother's grave to Pearl's and mixed it in, and she took some of Pearl's soil back to China and mixed it into Carrie's grave so that they would finally be connected again and their souls could rest. The entire evening was finished with the grand finale of Anchee singing a piece of peasant opera that Pearl loved - in Chinese. This petite woman, with the strong eyes that seem to look right into you, standing there belting out in an unbelievably strong voice this aria. Goosebumps - I had them. I think the part of the crowd that got the serendipitous connection between Pearl and Anchee through writing had them. After people left, Anchee said to me - that it was her destiny to write this book and help right the wrong done to Pearl by Madame Mao. I said yes I understood that after reading the book and hearing her. It was meant to be. She seemed very glad that I understood and hoped others would. They will. 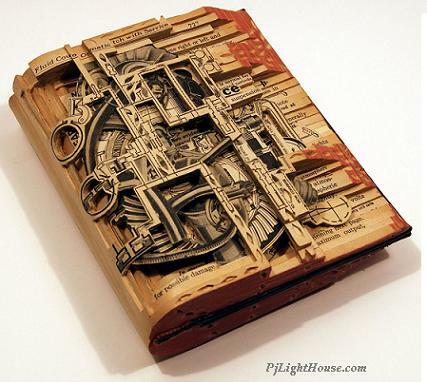 It's night's like this one that really remind me why I love books and why I love meeting authors and sharing their stories. " 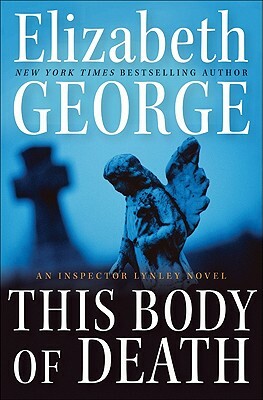 recent departures within the Inspector Lynley series (and an editorial pursuit). With No One as Witness was shockingly pivotal; What Came before He Shot Her was tangential; Careless in Red was transitional. Much remains unresolved by the end of This Body of Death, but the dust seems to be settling. A minor character from Playing for the Ashes is reintroduced in a catalytic role as the Potential New Boss who rubs people the wrong way. I expect she'll be back in subsequent books, but George is often surprising, so I wouldn't bet a whole paycheck on anticipating her plans! psychopathology paper on a subject that eventually comes to reveal George's ongoing fascination with the ways in which the past haunts the present, with (at best) dismaying results. The mystery is a pretty intricate one, as usual. For about half the book, nobody has any idea about what the murder weapon was. After that's discovered, there are still plenty of twists & turns to occupy the reader. However, as much as I liked reading it, This Body of Death would not be a good starting point for new readers of the series. I recommend going all the way back to A Great Deliverance, which was a superb first novel, but you could probably read any of her first half dozen without missing out on too much of the rich character development offered by the Lynley series. A sweeping and sensuous novel of a son’s quest to recover his family’s lost masterpieces, looted by the Nazis during the occupation. Set against the backdrop of a devastating forest fire that Henry David Thoreau accidentally set in 1844, John Pipkin's novel brilliantly illuminates the mind of the young philosopher at a formative moment in his life and in the life of the young nation. The Thoreau of Woodsburner is a lost soul, resigned to a career designing pencils for his father's factory while dreaming of better things. On the day of the fire, his path crosses those of three very different people, each of whom also harbors a secret dream. Oddmund Hus, a shy Norwegian farmhand, pines for the wife of his brutal employer. 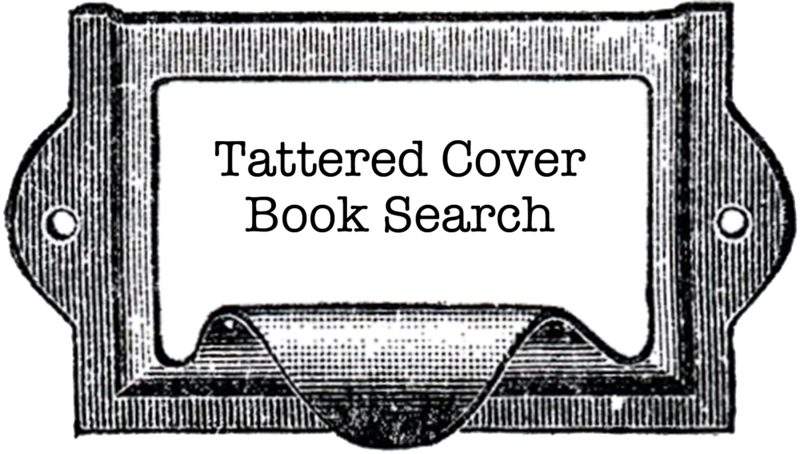 Eliot Calvert, a prosperous bookseller, is also a hilariously inept aspiring playwright. Caleb Dowdy preaches fire and brimstone to his followers through an opium haze. Each of their lives, like Thoreau's, will be changed forever by the fire. Special note: The link in this article is for the paperback edition of the book coming out 5-4-10, and is available for pre-order. In 1974, the Sellers family is transplanted from London to Sheffield in northern England. On the day they move in, the Glover household across the street is in upheaval: convinced that his wife is having an affair, Malcolm Glover has suddenly disappeared. The reverberations of this rupture will echo through the years to come as the connection between the families deepens. But it will be the particular crises of ten-year-old Tim Glover—set off by two seemingly inconsequential but ultimately indelible acts of cruelty—that will erupt, full-blown, two decades later in a shocking conclusion. Expansive and deeply felt, The Northern Clemency shows Philip Hensher to be one of our most masterly chroniclers of modern life, and a storyteller of virtuosic gifts. In the tradition of food memoirs like Under the Tuscan Sun and A Year in Provence, Hay Fever tells the story of New York City literary agent Angela Miller and how looking for tranquility on a Vermont farm turned into an eye-opening, life-changing experience. 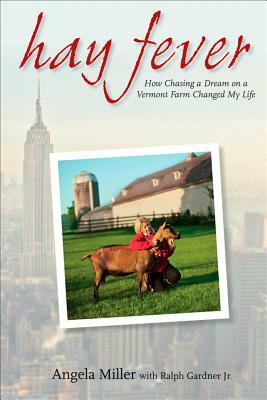 Seeking solace in the midst of midlife strife brought on by family stress and a high-stakes career, Miller and her husband bought a farm in rural Vermont. But what started as a part time “project” turned into a full-blown obsession and culinary passion that not only changed their lives forever, but also resulted in some of America’s best cheeses, prestigious awards, and media fame. Today, cheeses from Consider Bardwell Farm are featured at some of the country’s best restaurants, including Jean Georges, Daniel, and The French Laundry. Hay Fever is an inspiring and entertaining memoir that will whet the appetite of food lovers and would-be farmers from coast to coast. 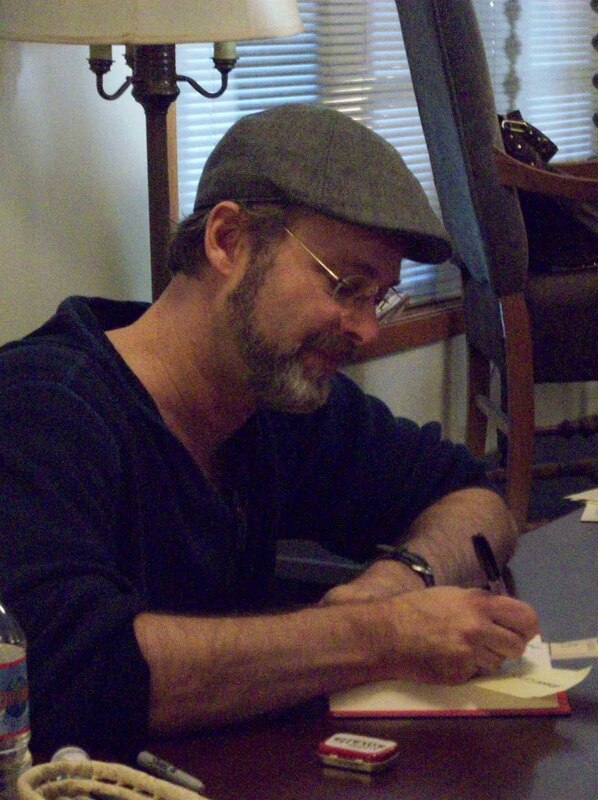 Read a great interview with the author here. Girls Only Happy Hour at our Highlands Ranch store! The unique comedy Girls Only: The Secret Comedy of Women has been playing to sell-out crowds of women in Denver for 18 months. Barbara Gehring and Linda Klein, authors and stars of the show, will appear in store to talk about the how they found a treasure trove of comic material in the universally awkward and sweet moments in the lives of women. They will read some excerpts from their own teenage diaries (on which Girls Only is based) and invite the audience to share their own funny pre-teen diary entries. Guests are invited bring their own childhood diary and join us for wine, snacks and mingling with the girls! Honeymooners Viktor and Liesel Landauer are filled with the optimism and cultural vibrancy of central Europe of the 1920s when they meet modernist architect Rainer von Abt. He builds for them a home to embody their exuberant faith in the future, and the Landauer House becomes an instant masterpiece. Viktor and Liesel, a rich Jewish mogul married to a thoughtful, modern gentile, pour all of their hopes for their marriage and budding family into their stunning new home, filling it with children, friends, and a generation of artists and thinkers eager to abandon old-world European style in favor of the new and the avant-garde. But as life intervenes, their new home also brings out their most passionate desires and darkest secrets. As Viktor searches for a warmer, less challenging comfort in the arms of another woman, and Liesel turns to her wild, mischievous friend Hana for excitement, the marriage begins to show signs of strain. The radiant honesty and idealism of 1930 quickly evaporate beneath the storm clouds of World War II. As Nazi troops enter the country, the family must leave their old life behind and attempt to escape to America before Viktor's Jewish roots draw Nazi attention, and before the family itself dissolves. As the Landauers struggle for survival abroad, their home slips from hand to hand, from Czech to Nazi to Soviet possession and finally back to the Czechoslovak state, with new inhabitants always falling under the fervent and unrelenting influence of the Glass Room. Its crystalline perfection exerts a gravitational pull on those who know it, inspiring them, freeing them, calling them back, until the Landauers themselves are finally drawn home to where their story began. Brimming with barely contained passion and cruelty, the precision of science, the wild variance of lust, the catharsis of confession, and the fear of failure - the Glass Room contains it all. J. Courtney Sullivan’s celebrated debut novel is a sparkling tale of friendship and a fascinating portrait of the first generation of women who have all the opportunities in the world, but no clear idea about what to choose. Assigned to the same dorm their first year at Smith College, Celia, Bree, Sally, and April couldn’t have less in common. Celia, a lapsed Catholic, arrives with a bottle of vodka in her suitcase; beautiful Bree pines for the fiancé she left behind in Savannah; Sally, preppy and obsessively neat, is reeling from the loss of her mother; and April, a radical, redheaded feminist wearing a “Riot: Don’t Diet” T-shirt, wants a room transfer immediately. Written with radiant style and a wicked sense of humor, Commencement follows these unlikely friends through college and the years beyond, brilliantly capturing the complicated landscape facing young women today. Lark and Termite is a rich, wonderfully alive novel about seventeen year old Lark and her brother, Termite, living in West Virginia in the 1950s. Their mother, Lola, is absent, while their aunt, Nonie, raises them as her own, and Termite’s father, Corporal Robert Leavitt, is caught up in the early days of the Korean War. Award-winning author Jayne Anne Phillips intertwines family secrets, dreams, and ghosts in a story about the love that unites us all. Special note: the link in this article is for the paperback edition coming out 6-15-2010 and is available for pre-order. We still have several copies of the hardcover edition on our shelves right now. 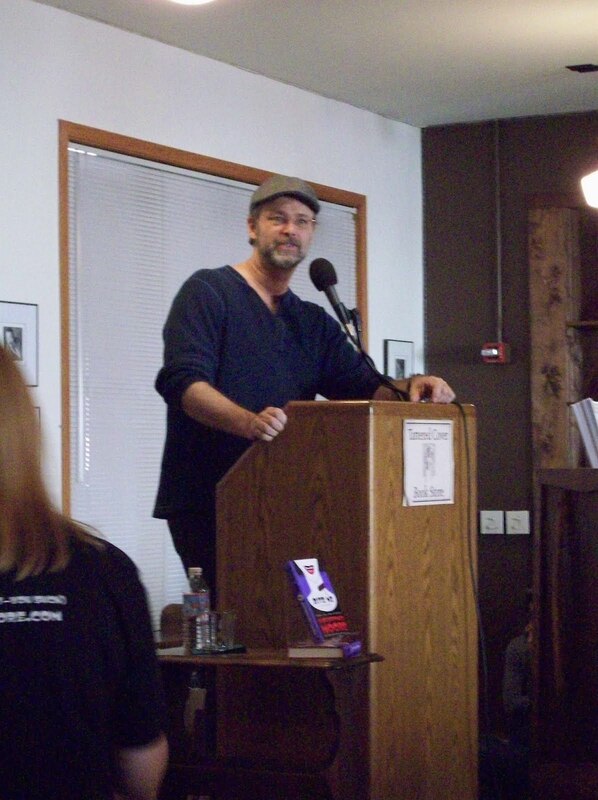 Christopher Moore at Tattered Cover featured on AuthorsOnTourLive! 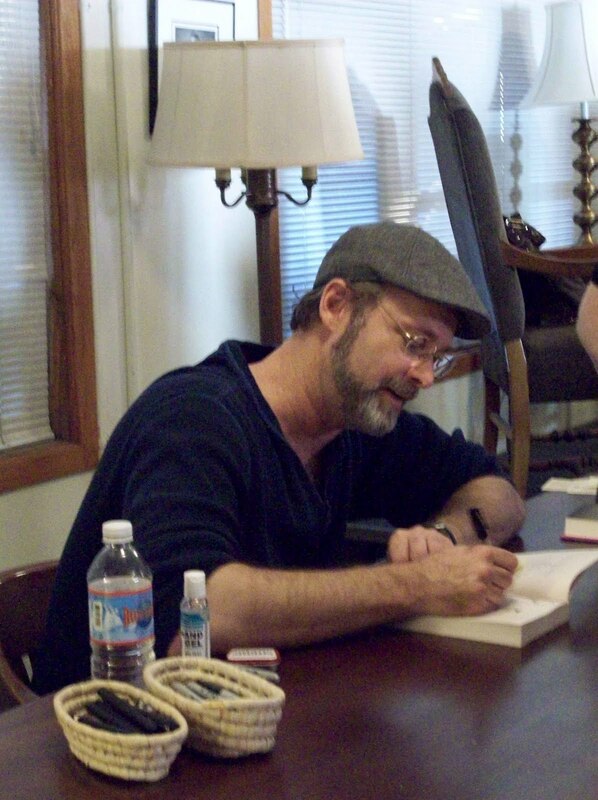 In case you missed the event, or you just want to revisit its hilarity, check out the freshly posted podcast at AuthorsOnTourLive! Celebrate Book & Lovers’ Day ! Every year on April 23rd, Barcelona erupts in a celebration of chivalry and romance. It all began in the Middle Ages with an annual Festival of Roses to honor St. George, Patron Saint of Catalonia. A brave Roman soldier, he allegedly slew a dragon about to devour a beautiful young princess. According to legend, a rosebush then sprouted from the blood of the slain dragon and the soldier plucked its most perfect blossoms to give to the princess as a remembrance. In 1923, the traditional Rose Festival merged with International Book Day, established to celebrate the lives of Miguel de Cervantes and William Shakespeare, both of whom died on April 23rd in 1616. Now, bookstalls and flower stands sprout up along the Rambla, a two-mile stretch connecting the city with the Mediterranean Sea. Thousands of Barcelonans crowd the streets to enjoy a festive atmosphere of readings, music, literature, and dance. And rare is the woman without a rose-or the man without a book tucked under his arm. The Tattered Cover is delighted to honor this springtime celebration of culture, beauty, intelligence, and love. Complimentary roses and bookmarks will be available on April 23 with the purchase of a book; while supplies last. As always, we’ll be happy to turn your purchases into lovely wrapped gifts at no extra charge. 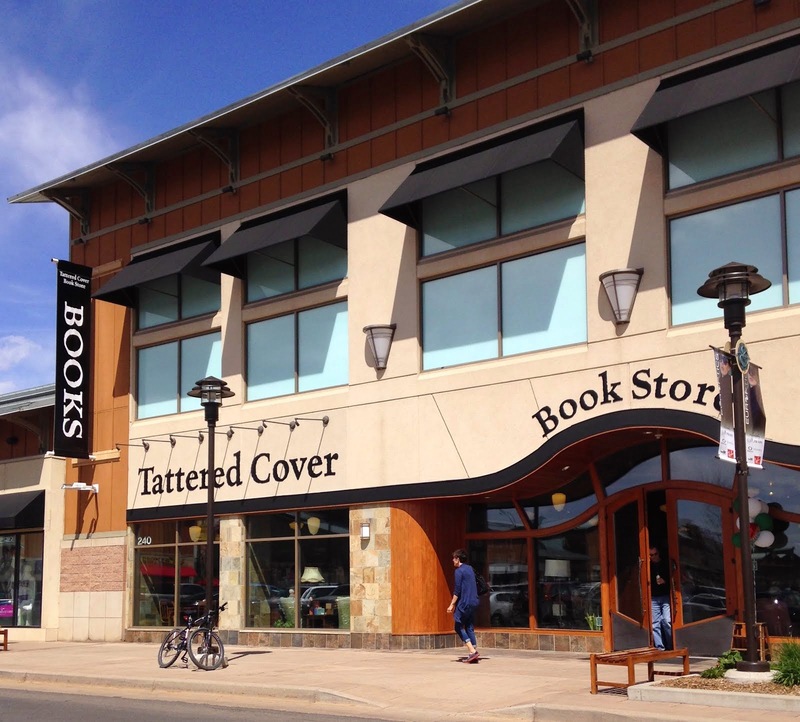 We are inviting Tattered Cover Gives Back members to shop for the Earth on Earth Day. Any TCGB member who makes a purchase on Earth Day, will have their normal 1% donated to their normal nonprofit of choice, and an EXTRA 1% donated to the Colorado Environmental Coalition (a TCGB partner). 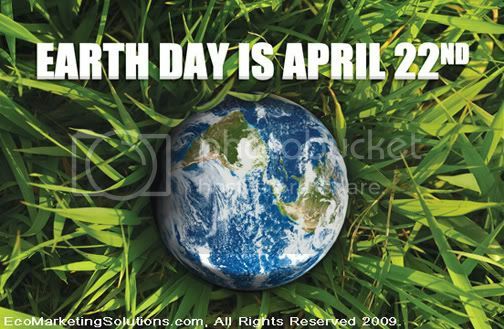 TCGB members will also receive 20% off any ONE book on Earth Day. 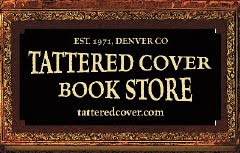 Become a Tattered Cover Gives Back Memeber today! Click here for more information on joining. I don't think I can find the words for how very much I loved this book. McNees worked from several biographies and Alcott's own journals to create this fictionalized account of a rumored love affair that the intensely private L.M.A. covered up. In these pages blooms the walking, talking inspirations for the characters in Little Women and some of Alcott's other books. It is at once very familiar and very new, and every page was riveting for me--I lost a lot of sleep to this book. I felt the echo of my much younger self, that girl who marveled at her first (but not her last) reading of Little Women and then her voracious consumption of all things Alcott one muggy Ohio summer. 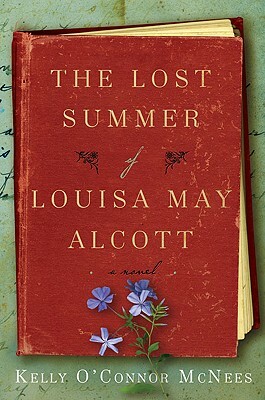 Louisa May Alcott was an amazing if rather brittle woman, and this book shows her in all of her complexity. I simply cannot recommend this book enough. Anyone who loves Melanie Benjamin's Alice I Have Been should read this book. This practical, informative guide is packed with more than 700 full-color illustrations, photographs, and descriptive text that deal with more than 150 affordable marijuana growing setups. Tvert and Armentano compare and contrast the relative harms and legal status of the two most popular recreational substances in the world--marijuana and alcohol. The authors explain why the message that marijuana is safer than alcohol must be a prominent part of the public debate over legalization. High rollers looking for something more adventurous than The Joy of Cooking will find it in The Marijuana Chef Cookbook. This guide to cannabis cuisine takes satisfying the munchies to a new level. In addition to such scrumptious and imaginative recipes as Primo Poultry, Nutter Butter, Midnight Pizza, Primeval Pasta, and Chocca Mocha, the book covers potency issues, health information, legal tips, and a culinary history of the weed. An estimated 40 million Americans have medical symptoms that marijuana can relieve. "Marijuana Medical Handbook" is a one-stop resource that gives candid, objective advice on using marijuana for healing, understanding its effects on the body, safe administration, targeting illnesses, side effects, and the various delivery methods from edibles and tinctures to smokeless vaporizer pipes. The book also details supply issues, cultivation solutions (in a chapter by renowned expert Ed Rosenthal), and legal consequences. This thoroughly revised edition incorporates the most up-to-date information on the ever-changing politics of marijuana, the plant's usage, and medical research on it. An amazingly entertaining, often funny and always horrifying story of what went wrong on Wall Street and why. What Lewis writes of two of his characters, young Ledley and Mai, might just as well apply to Lewis himself, or to us: They "had always sort of assumed that there was some grown-up in charge of the financial system whom they had never met; now they saw there was not." When the crash of the U. S. stock market became public knowledge in the fall of 2008, it was already old news. The real crash, the silent crash, had taken place over the previous year, in bizarre feeder markets where the sun doesn't shine, and the SEC doesn't dare, or bother, to tread: the bond and real estate derivative markets where geeks invent impenetrable securities to profit from the misery of lower- and middle-class Americans who can't pay their debts. The smart people who understood what was or might be happening were paralyzed by hope and fear; in any case, they weren't talking. The crucial question is this: Who understood the risk inherent in the assumption of ever-rising real estate prices, a risk compounded daily by the creation of those arcane, artificial securities loosely based on piles of doubtful mortgages? Michael Lewis turns the inquiry on its head to create a fresh, character-driven narrative brimming with indignation and dark humor, a fitting sequel to his #1 best-selling Liar's Poker. Who got it right? he asks. Who saw the real estate market for the black hole it would become, and eventually made billions of dollars from that perception? And what qualities of character made those few persist when their peers and colleagues dismissed them as Chicken Littles? Out of this handful of unlikely-really unlikely-heroes, Lewis fashions a story as compelling and unusual as any of his earlier bestsellers, proving yet again that he is the finest and funniest chronicler of our times. An inside look at the really big players. A gripping narrative of how the men and women in the headlines responded to the financial meltdown. Detailed, moment by moment account of one of the most calamitous times in our history. Andrew Ross Sorkin delivers the first true behind-the-scenes, moment-by-moment account of how the greatest financial crisis since the Great Depression developed into a global tsunami. From inside the corner office at Lehman Brothers to secret meetings in South Korea, and the corridors of Washington, Too Big to Fail is the definitive story of the most powerful men and women in finance and politics grappling with success and failure, ego and greed, and, ultimately, the fate of the world's economy. "We've got to get some foam down on the runway!" a sleepless Timothy Geithner, the then-president of the Federal Reserve of New York, would tell Henry M. Paulson, the Treasury secretary, about the catastrophic crash the world's financial system would experience. The authors argue that breaking up the oligarchy of the megabanks that control 60% of our GDP is essential to avoiding another financial meltdown. They hold the global economy hostage. An account of our financial history with issues that date back to Thomas Jefferson. Even after the ruinous financial crisis of 2008, America is still beset by the depredations of an oligarchy that is now bigger, more profitable, and more resistant to regulation than ever. Anchored by six megabanks—Bank of America, JPMorgan Chase, Citigroup, Wells Fargo, Goldman Sachs, and Morgan Stanley—which together control assets amounting, astonishingly, to more than 60 percent of the country’s gross domestic product, these financial institutions (now more emphatically “too big to fail”) continue to hold the global economy hostage, threatening yet another financial meltdown with their excessive risk-taking and toxic “business as usual” practices. How did this come to be—and what is to be done? These are the central concerns of 13 Bankers, a brilliant, historically informed account of our troubled political economy. In 13 Bankers, Simon Johnson—one of the most prominent and frequently cited economists in America (former chief economist of the International Monetary Fund, Professor of Entrepreneurship at MIT, and author of the controversial “The Quiet Coup” in The Atlantic)—and James Kwak give a wide-ranging, meticulous, and bracing account of recent U.S. financial history within the context of previous showdowns between American democracy and Big Finance: from Thomas Jefferson to Andrew Jackson, from Theodore Roosevelt to Franklin Delano Roosevelt. They convincingly show why our future is imperiled by the ideology of finance (finance is good, unregulated finance is better, unfettered finance run amok is best) and by Wall Street’s political control of government policy pertaining to it. Lucid, authoritative, crucial for its timeliness, 13 Bankers is certain to be one of the most discussed and debated books of 2010. The history of the 4 Central Bankers in the US, GB, France and Germany and how the Great Depression was caused by their decisions. A really good history lesson that we should heed. Too much power in too few hands. Western Civilization as they knew it. Alexandra Penney, an artist and successful magazine editor had a pathological fear of becoming a bag lady and lost all her saving in the Madoff ponzi scheme. She blogged about it for the Daily Beast and hit many nerves, many calling her a spoiled you know what who didn't know what it really meant to lose everything. This is her story. Inspiring. No, she didn't become a bag lady. economic ruin. After investing--and losing--her life savings with Bernie Madoff, Penney, former editor-in-chief of SELF magazine is forced to confront her deepest fears. Our daily lives are filled with consumption—$1.50 for a cup of coffee, $5.95 for a magazine, $17.99 for headphones, $1.79 for cough drops, $36.00 for a haircut. Whether bought out of necessity or indulgence, purchased alone or in a group, everything we buy has its own story to tell. We buy art supplies while feeling inspired, CDs while shopping with friends, and a new pair of jeans to give us a lift when we are feeling blue. Yet, these powerfully emotional experiences can be fleeting—quickly erased by the pull of the next 'must-have' acquisition. In Obsessive Consumption, Portland-based artist Kate Bingaman-Burt holds up a mirror to her own obsession with shopping and acquisition. Faced with a mounting pile of postgraduation credit card debt, Bingaman-Burt concocted a unique artistic response to this all-too-common dilemma. She picked up a pen and began drawing her monthly credit card statements, painstakingly recreating every last ledger line and decimal point, vowing to continue serving her artistic penance until her debt was repaid. As a relief from this project—turning the idea of 'retail therapy' on its ear—Bingaman-Burt began drawing one of her purchases from each day, losing herself in the items, patterns, simple lines, and typography. Obsessive Consumption represents a selection of three years of Bingaman-Burt's delightful ink drawings of sundry items. Accompanied by witty and insightful annotations, these drawings mock her own relationship with her purchases and put a personal face on the mass-produced items of our shared experience. Readers can catch a glimpse into the life of the artist from the collection, which includes wedding bands, a dog, a moving truck, handmade items from friends, Mississippi beer, Portland pizza, and lots of pens and drawing paper to support her drawing habit. A celebration of the beauty of the everyday, Obsessive Consumption presents a microcosm of consumer culture that will appeal to everyone from a thirteen-year-old mall-dweller to a middle-aged anticonsumerism advocate. you'll love thegreatbooklist.com. They have lists after lists, categorized by era, subject, you name it. It is absolutely fascinating! Nazi-invaded Prague and landed in New York City. His Brooklyn cousin Sammy Clay is looking for a partner to create heroes, stories, and art for the latest novelty to hit America the comic book. Inspired by their own fears and dreams, Kavalier and Clay create the Escapists, The Monitor, and Luna Moth, inspired by the beautiful Rosa Saks, who will become linked by powerful ties to both men. Precious Jones, an illiterate sixteen-year-old, has up until now been invisible to the father who rapes her and the mother who batters her and to the authorities who dismiss her as just one more of Harlem's casualties. But when Precious, pregnant with a second child by her father, meets a determined and radical teacher, we follow her on a journey of education and enlightenment as she learns not only how to write about her life, but how to make it truly her own for the first time. Absolutely True Diary of a Part-Time Indian, which is based on the author's own experiences, coupled with poignant drawings that reflect the character's art, chronicles the contemporary adolescence of one Native American boy as he attempts to break away from the life he thought he was destined to live. external responsibility in art, family, and the world at large. Rossie Benasco's horseback existence begins at age 15 and culminates in a thousand-mile drive of more than 200 head of horses through the Rockies into Calgary. It's a journey that leads him, ultimately, to Eliza Stevenson and a passion so powerful, his previously unfocused life gains clarity and purpose. From the settlers, cowboys, and gamblers who opened up this country to the landholders and politicians who ran it, this is an epic tale of love and wide open spaces that stretches over the grand canvas of the twentieth-century West. vignettes--sometimes heartbreaking, sometimes deeply joyous--it is the story of a young Latina girl growing up in Chicago, inventing for herself who and what she will become. Few other books in our time have touched so many readers. experiments in pure narrative that meditate on personal relations in a violent world and read like small, luminous novellas. From the beginning, his poems have seemed entirely his own: a complex hybrid of the lyric line, with an unwavering fidelity to human and nonhuman nature, and formal variety and surprise, and a syntax capable of thinking through difficult things in ways that are both perfectly ordinary and really unusual. Over the years, he has added to these qualities a range and a formal restlessness that seem to come from a skeptical turn of mind, an acute sense of the artifice of the poem and of the complexity of the world of lived experience that a poem tries to apprehend. landscapes--San Francisco, the northern California coast, the Sierra high country--are vividly alive in his work. 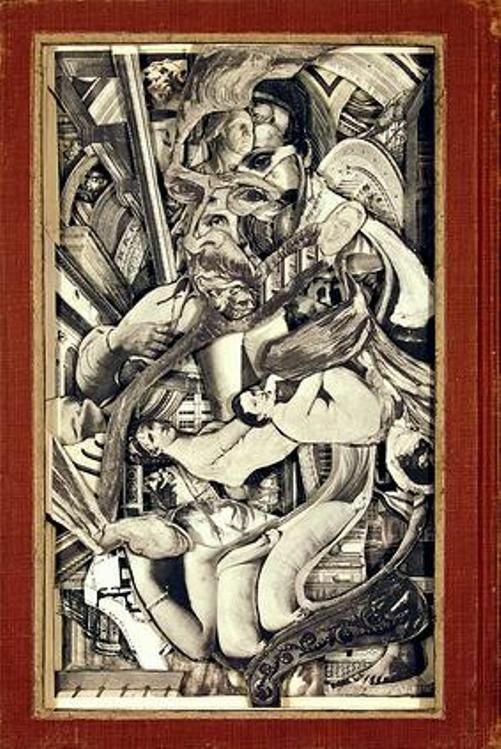 His themes include art, the natural world, desire, family life, the life between lovers, the violence of history, and the power and inherent limitations of language. He is a poet who is trying to say, as fully as he can, what it is like to be alive in his place and time. His style?formed in part by American modernism, in part by his long apprenticeship as a translator of the Japanese haiku masters and Czeslaw Milosz combines intimacy of address, a quick intelligence, a virtuosic skill with long sentences, intense sensual vividness, and a light touch. 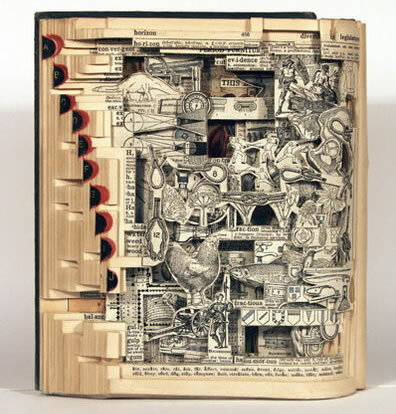 It has made him immensely readable and his work widely admired. Shards of glass can cut and wound or magnify a vision," Terry Tempest Williams tells us. "Mosaic celebrates brokenness and the beauty of being brought together." Ranging from Ravenna, Italy, where she learns the ancient art of mosaic, to the American Southwest, where she observes prairie dogs on the brink of extinction, to a small village in Rwanda where she joins genocide survivors to build a memorial from the rubble of war, Williams searches for meaning and community in an era of physical and spiritual fragmentation.In her compassionate meditation on how nature and humans both collide and connect, Williams affirms a reverence for all life, and constructs a narrative of hopeful acts, taking that which is broken and creating something whole. Monday April 5 is National Sweet Potato Day!